Cape Town, South Africa! The colorful and stunning coming-together of people, land, and sea. The V&A Waterfront, down by the harbor with a great view of Table Mountain, is stocked with restaurants, bars, and shops. Make sure to stop by the Blue Shed (by the aquarium) for some great craft shopping. Green Market Square, in the city center, is an open-air market that houses hundreds of craft vendors. You’ll find some treasures here! See the penguins at Boulders Beach! 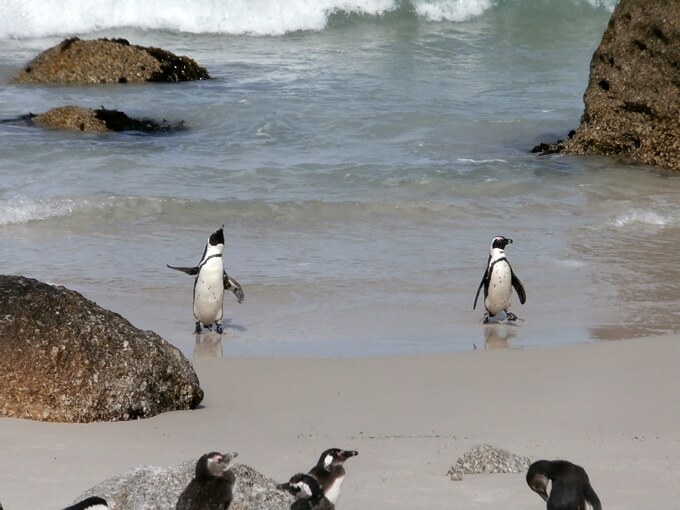 Thousands of African penguins call this little stretch of beach home. Their sunbathing and swimming along the shore seems perfectly natural until you remember that they’re penguins. Boulders Beach is near Simon’s Town, a picturesque little town on the water’s edge, almost reminiscent of Cape Cod, Massachusetts. Spend an hour or two walking around here and exploring the shops. If you’re driving from Cape Town to Simon’s Town, make sure to stop at Milnerton Flea Market on the way. You’ll find everything here. Antiques, clothes, collectibles, the works. It’s right off R27 Otto du Plessis Road, open on weekends 0800 to 1500. 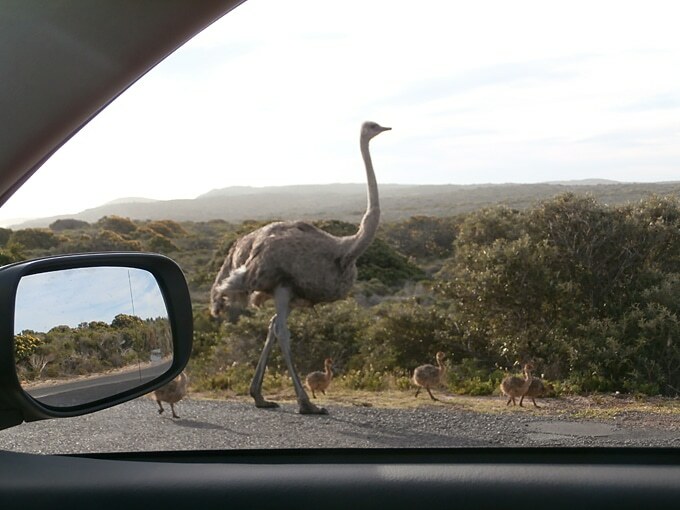 Keep driving south and you’ll end up at Cape of Good Hope. 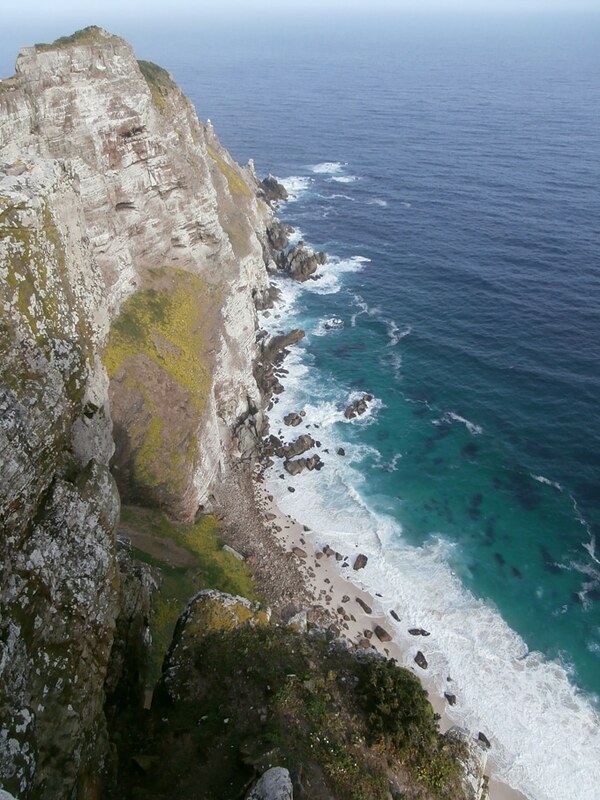 And while this isn’t the very tip of Africa (like we thought while driving there), it is a beautiful drive, a decent hike, and a great view. 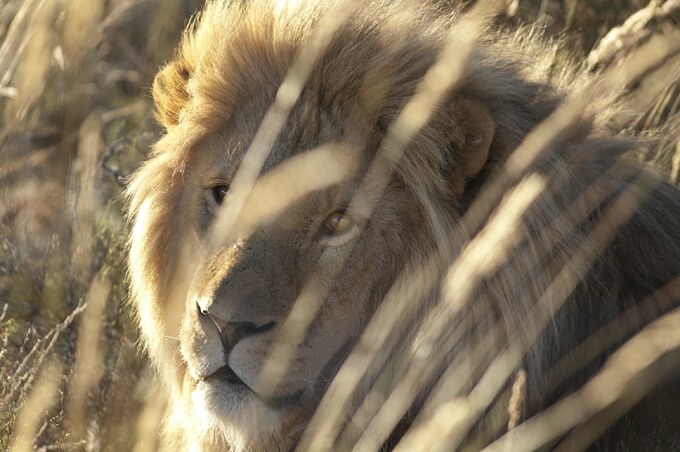 There are a number of safaris/game reserves inland. 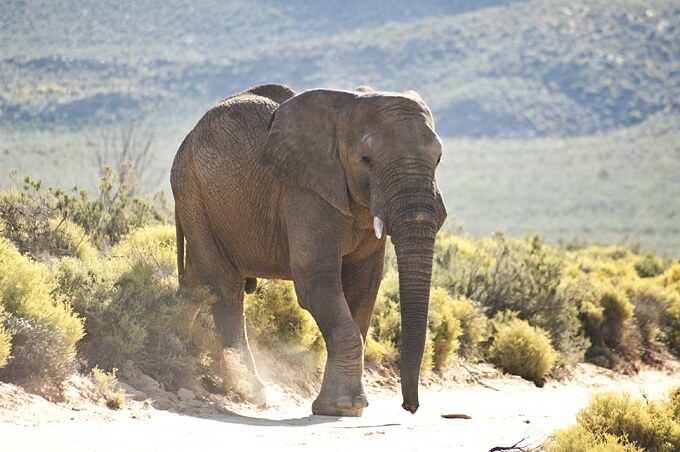 We spent a few days at the Aquila Private Game Reserve, about 2 hours northeast of Cape Town. 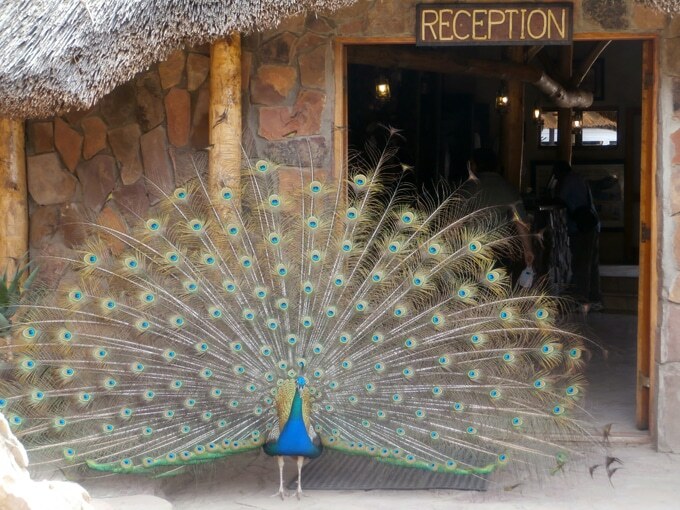 The hut lodging sits right across the fence from a massive game reserve, where zebras, elephants, giraffes, rhinos, and the like are free to roam about. 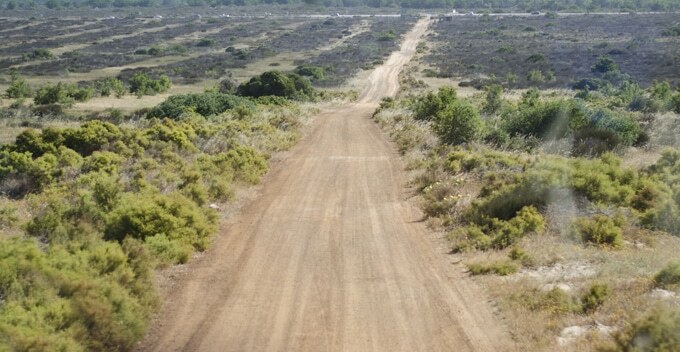 They offer a number of different safaris into the reserve, from horseback to fourwheeler to jeep. Yes a bit touristy, but definitely a must. Although driving is on the left hand side, getting around by car is pretty manageable (especially if your chauffeur is your Boston-raised driver of a mother) and probably the best mode of transportation. Just don’t pet or get close to the baboons along side of the road. They’re EVIL! 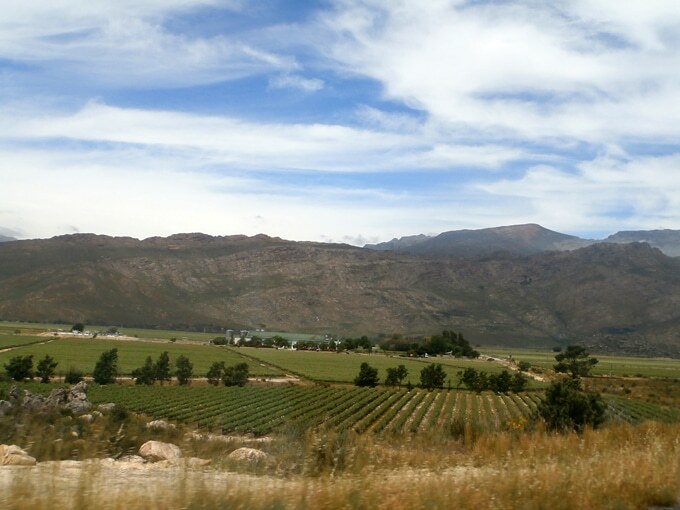 South Africa, Cape Town especially, is very heavily influenced by European and western culture. Being at the point of Africa, it’s a prime location for anyone sailing anywhere far, so it’s really a blending pot. Though I didn’t experience any while there, crime is very present in Cape Town, evidenced by the armed guards outside most major buildings and iron bars on all ground-level windows. But as with anywhere, it’s safe if you’re smart about it. Research hotels and areas for safety before going. Things are very affordable in Cape Town. Before you pay big money for any sort of organized tour, do a little research into the real cost of things and save some money! hello, I want to go to Africa, did you use a tour guide, how did you know where to go, etc?